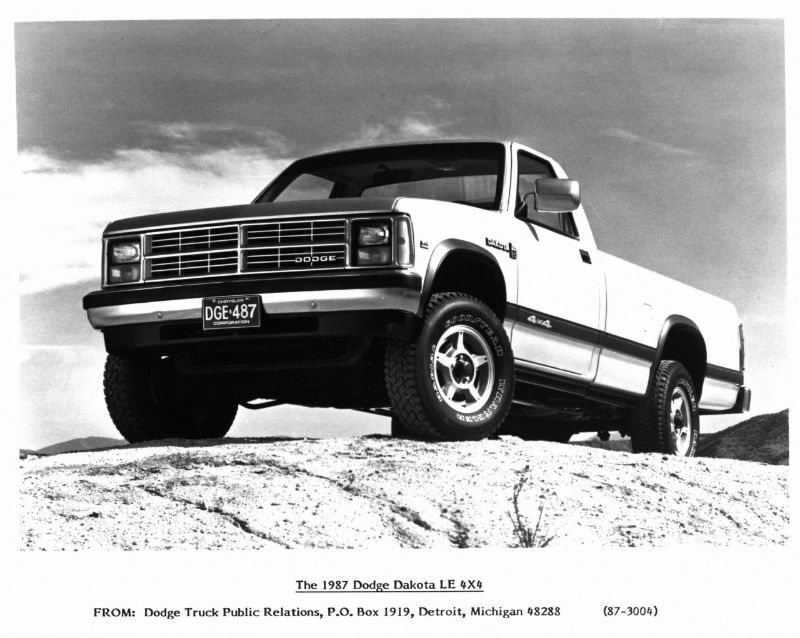 The predecessor to the 1989 Dodge Shelby Dakota, the Dodge Dakota, was launched for the 1987 model year. This midsize pickup truck was designed to provide an option that was larger than the compacts yet smaller than the domestic full-size pickups. 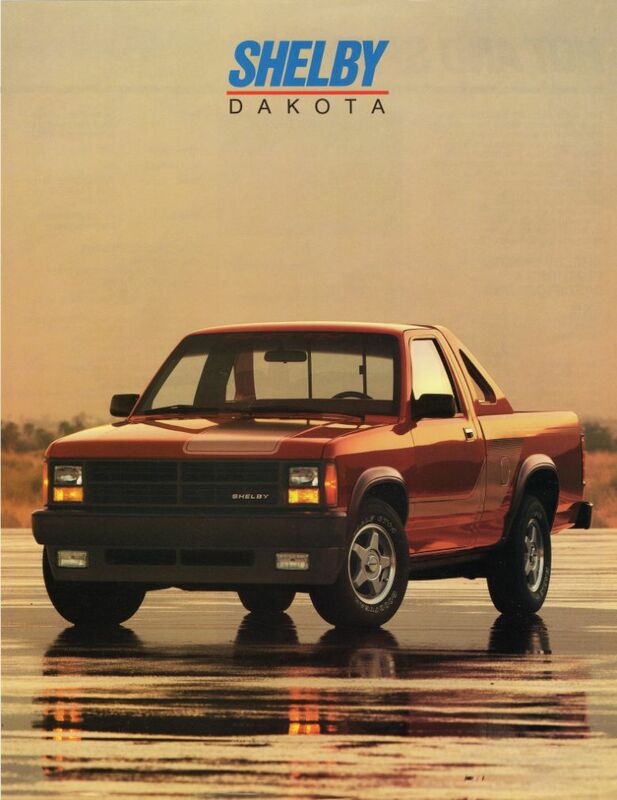 Of the Dodge Dakota models, there was just a single model year of the Shelby Dakota, continuing a trend from the automaker. Like other vehicles created by Carroll Shelby for Chrysler Corporation, this vehicle featured as much engine as the auto could handle. The result was a pickup that was easily among the most powerful of its time. 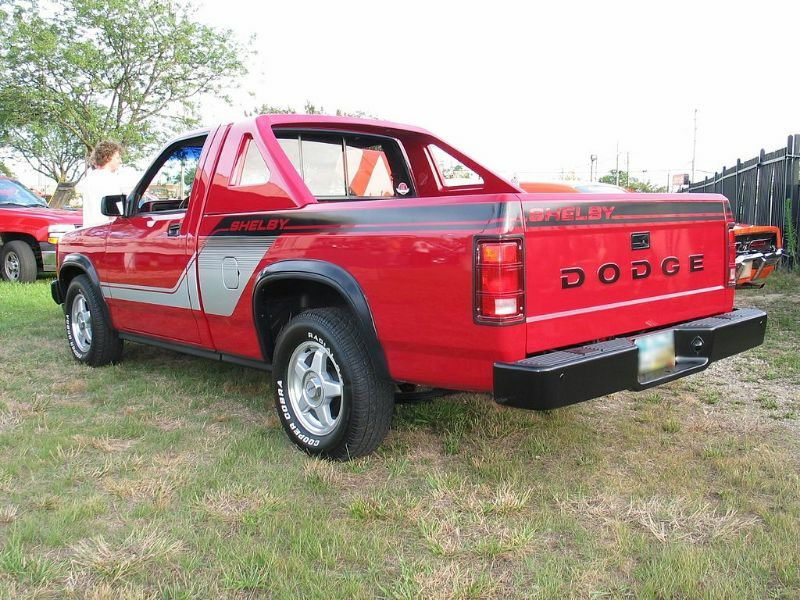 The 1989 Dodge Shelby Dakota began with a regular cab version of the Dodge Dakota Sport. This starting point was configured with a two-wheel drive and a short wheelbase. It already had sport-tuned shocks and a heavy-duty suspension being the Sports trim. The Dakota that the Shelby was based on used a 3.9-liter V6, but this was removed in favor of a larger, more powerful unit. This would be the same 5.2-liter V8 with fuel injection used in the new full-size pickups. While this swap was simple in theory, it was a challenge for engineers to fit a V8 engine into a space that was created for four or six cylinders. If they left the conventional belt-driven fan, there was not enough room for the engine to clear its radiator. Instead of the conventional fan, the Shelby Dakota used an electric-powered pusher fan to help with cooling right in front of the radio. As a bonus, this change also improved the engine’s horsepower. The result was 175 horsepower at 4,000 rpm. Torque was 270 pound-feet at 2,000 rpm. The redline was at 4,750 rpm, showing that the Shelby Dakota as a pickup focused on low-end torque instead of the high end. Thanks to this engine, the 1989 Shelby Dakota could reach 60 mph in just 8.5 seconds and finish a quarter mile in 16.5 seconds at 82 miles per hour. Given the time and the fact that the pickup weighed 3,610 pounds, those figures were impressive. The Shelby Dakota shifted with an A500 four-speed automatic, featuring a locking torque converter. The SureGrip limited-slip differential punctuated any burnouts with two lines instead of one. This Dakota debuted a unique rear-wheel anti-lock brake system using a control module, pressure-limiting valve, and speed sensor to stop lockups. The Shelby Dakota sat on hollow five-spoke 15-inch wheels that used 225/70HR15 Goodyear Eagle GT+4 tires. These would have done a particularly great job in the corner. The Shelby Dakota could come in red or white, but always with the unique Shelby fade graphic. There were wings between the bed and cab, described as a “light bar” by Shelby. The front grille had a Shelby badge plus a blacked-out air dam with supplemental driving lights. The interior of the Dodge Shelby Dakota featured a leather-wrapped steering wheel featuring the Shelby logo. It also got unique Shelby charcoal fabric on the door panels and bench seat. The instrument panel featured a serial number plaque in addition to the tachometer. 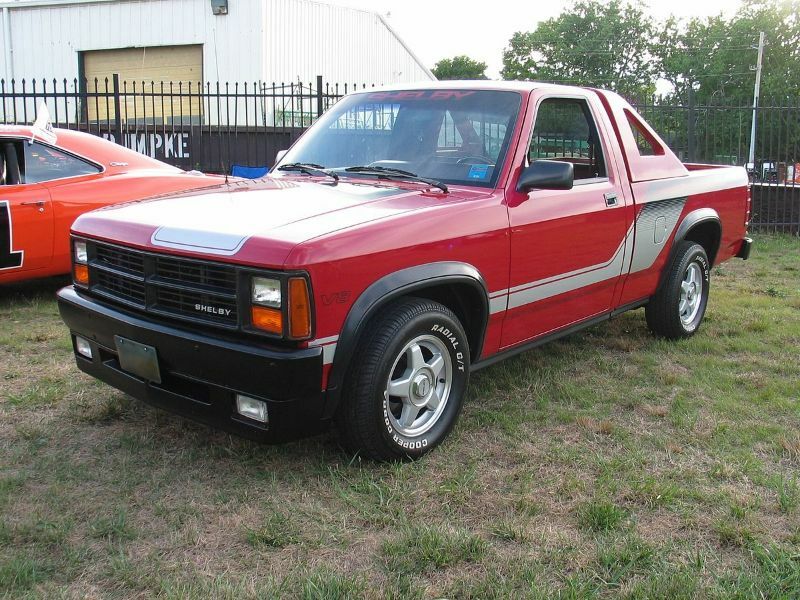 There was a total of 1,500 units, making the 1989 Dodge Shelby Dakota fairly sought after. These included 640 white units and 860 red ones.